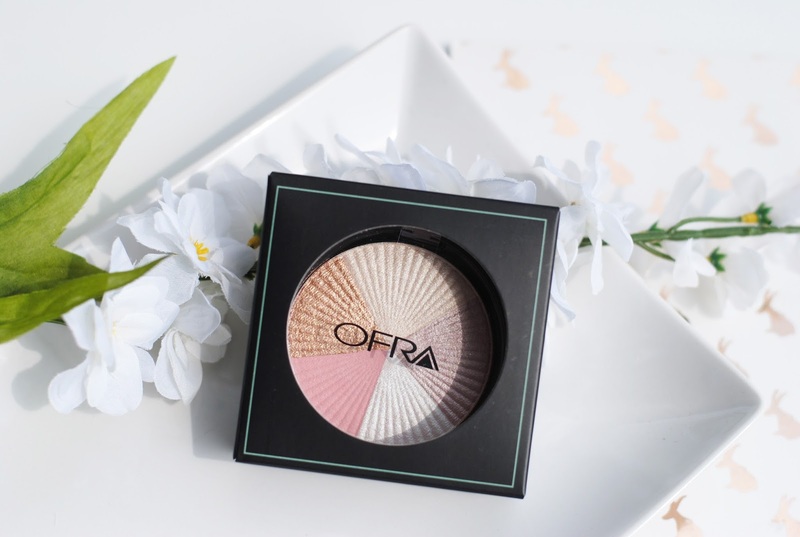 The list of 'to review' products is always getting bigger and bigger, that's why I kept stalling reviewing some of my own shop's Ofra products. Yesterday the brand-new limited edition metallic liquids came in (definitely expect a review of these), together with the Beverly Hills highlighter. I instantly fell in love with it, so I shot the photos immediately because I needed to show you this! 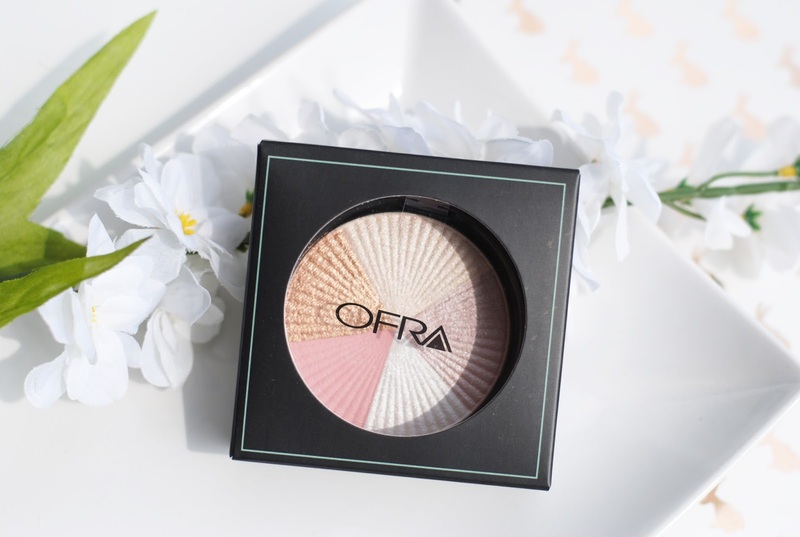 Ofra Cosmetics is a cruelty free and vegan brand and that's one of the reasons that I really wanted the brand in my shop. 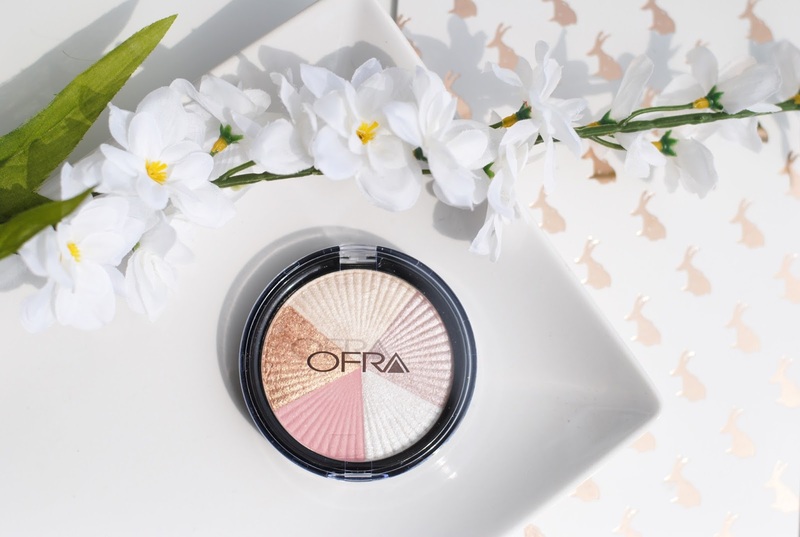 Vegan products are becoming more common nowadays, but Ofra's line is completely vegan. 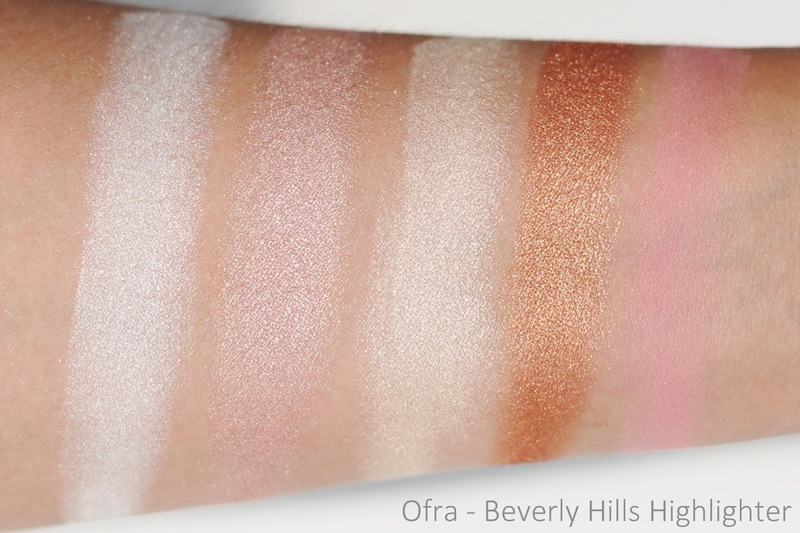 The Beverly Hills highlighter features 5 colors in one pan. The triangles of color are big enough to use the colors separately, so you actually get 5 highlighters for the price of one. 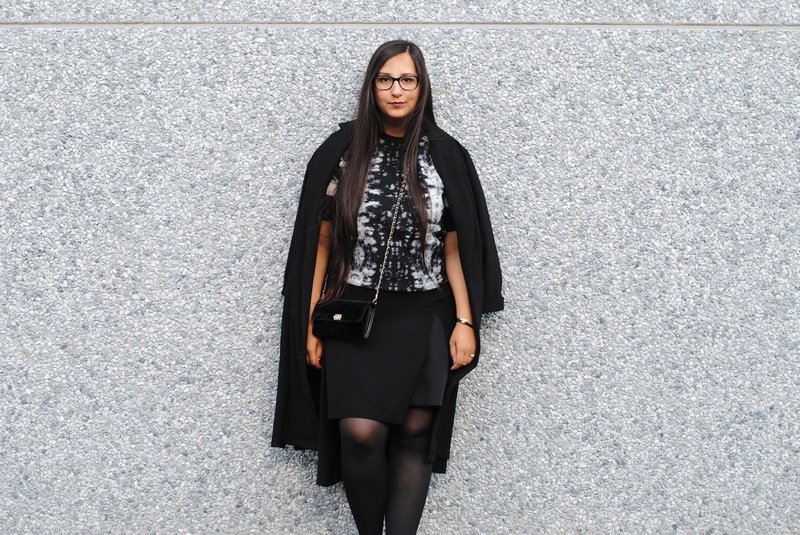 But you can of course mix them up and create something that fits you perfectly. I use the different colors to highlight different parts of my face, a different shade for the cupids bow than for my cheekbones. 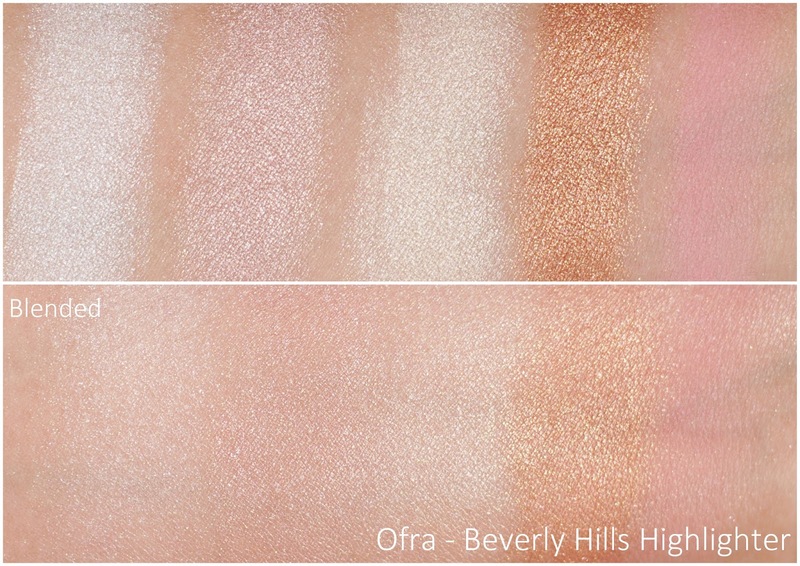 All of these highlighters have amazing pigmentation in one swipe. 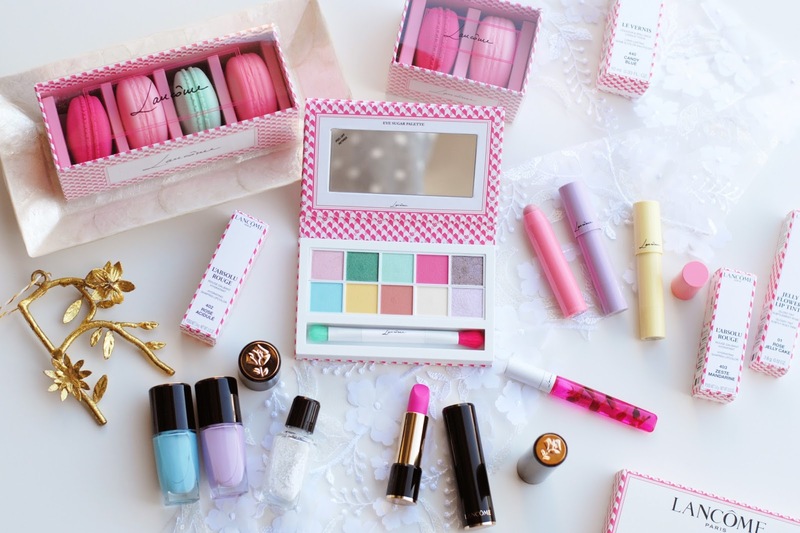 The shades include: a pearly white one, a neutral shimmer, a pinky-peach hue, golden bronze and a cool pink. 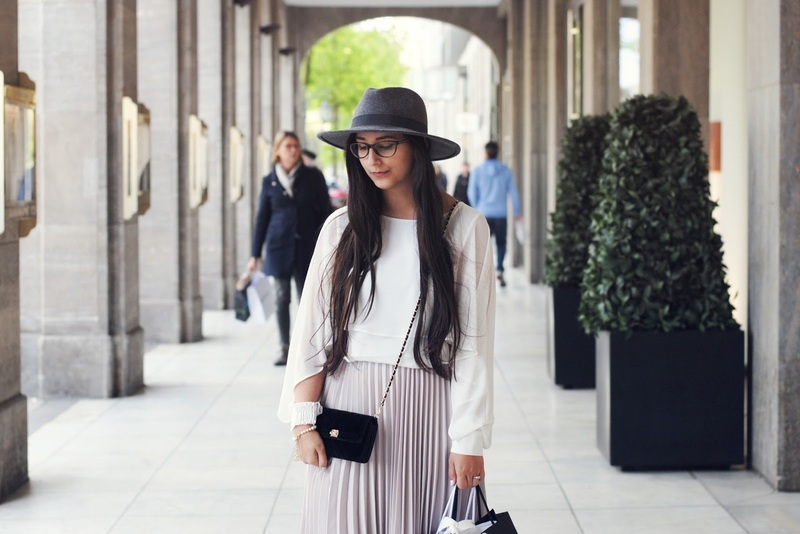 The pearly white one is beautiful when combined with swatch 2, the pearly soft pink shade. 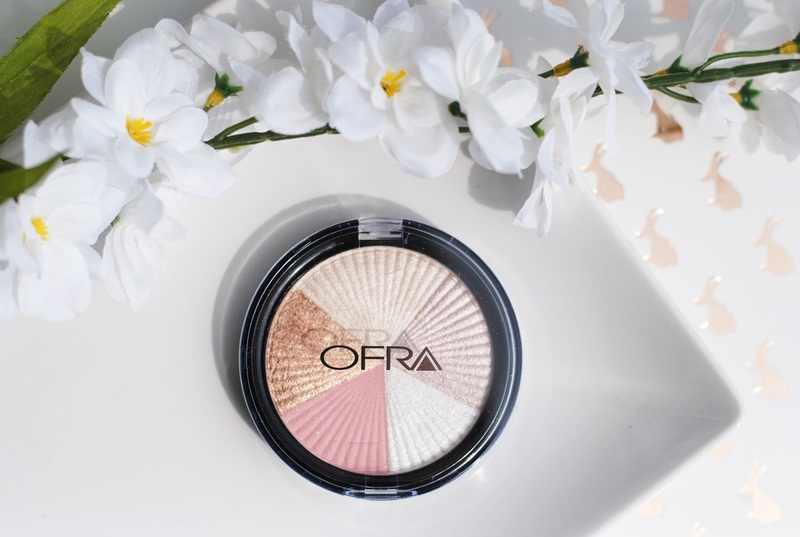 These two combined make one of my favorite highlighting shades: bright and intense, yet the pink tones it down. Very pretty! The last swatch, the pink color is a matte shade actually. The others have kind of a metallic-y feeling to it, and the formula can flake a bit when applied with your fingers. I was very excited when I got the highlighters in my shop, and the moment I unpacked them I fell in love. The shades are very pigmented and suitable for all skin tones. 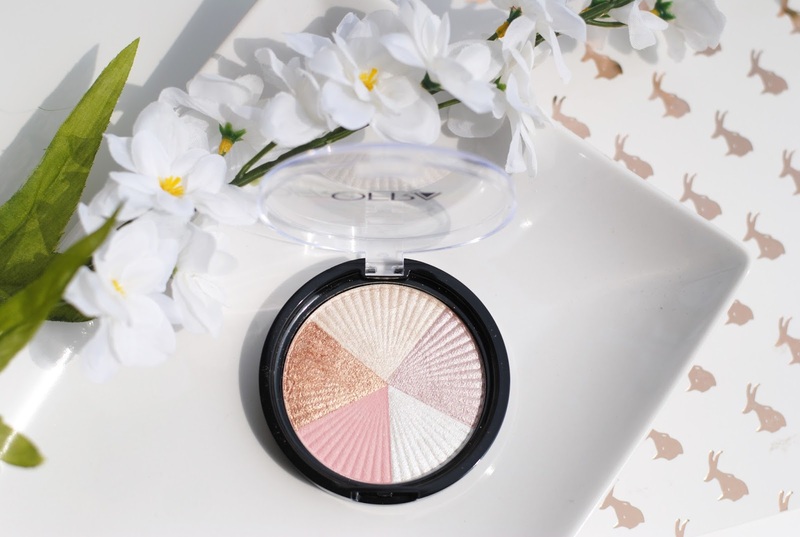 What do you think about this highlighter? The pigmentation is so good! 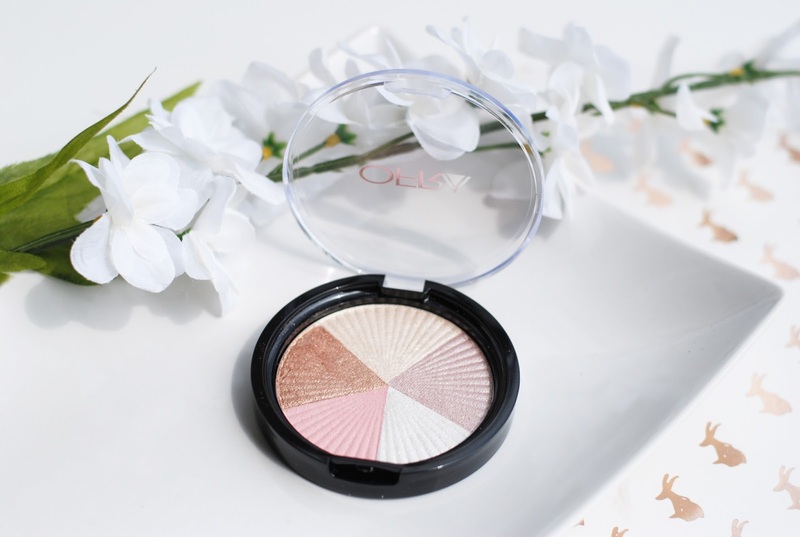 One of the most pigmented highlighters I've seen. 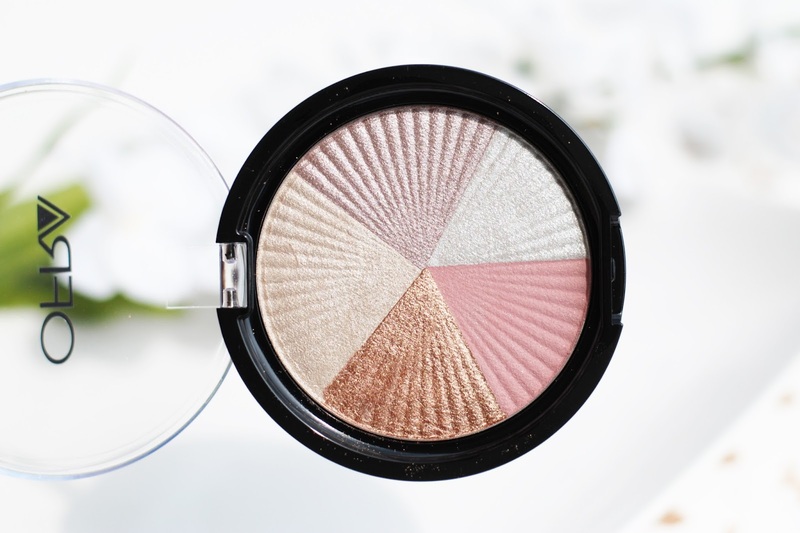 And what I also like is the triangle shape of the colors in this highlighter, it looks great. Oh my gosh, this highlight is stunning! I need this in my life stat! That is a gorgeous highlighter. So shimmery!!! Beautiful pictures!!! Oh my gooooodddd. Ik heb echt waar genoeg highlighters, maar deze wil ik gerust nog aan mijn collectie toevoegen. Zo mooi!